This selection of ladies purses and frame purses provides variations for the outing, shopping, office or the get-together. 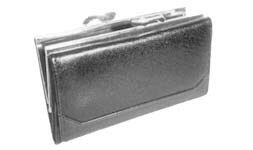 An Italian leather ladies purse. 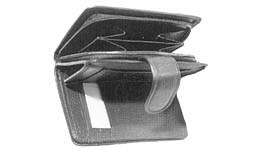 It has two compartments for currency notes, 8 credit card slots, a net window for the driving license, 2 side pockets and a zip pocket for coins. 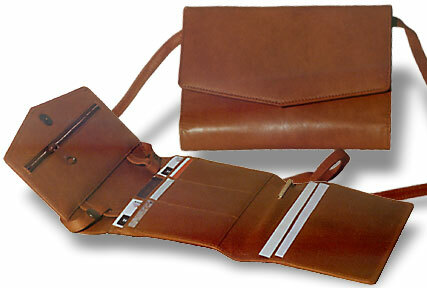 It is also available in other types of leather and the standard range of colours. 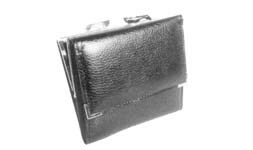 A ladies leather clutch purse with 18 cm frame. The centre has a zip pocket. 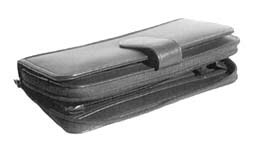 The LHS has a slot of 18.5 x 8 cm to keep your cheque book. On the RHS there are 8 credit card slots and a slot with window for your driving license. The cow leather frame purse of closed size 14 x 9 cm. The frame area has two major compartments. 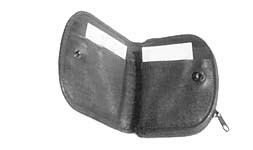 On opening the purse, there are 2 note compartments a deep side pocket of size 16 x 11 cm, 3 credit card slots and a side pocket. It can also be made from Buff leather. This cow leather oil pull up neck purse is for the tourist. On the back is a zip pocket as well as an open pocket. Beneath the flap is a zip pocket for coins. 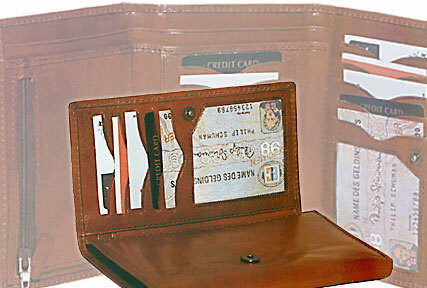 There are 6 credit card slots and two pockets of size 19 x 9 cm and one of size 19 x 8 cm. 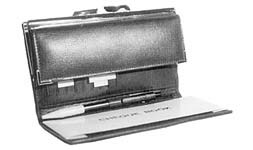 There is a pen loop. The product has a long strap that one can hang around the neck. The product is shut by a magnetic snap button.